CLC Network (Christian Learning Center) promotes the development of people with a variety of abilities and disabilities to live as active, integrated members of their communities through church and school consulting, training and professional development, books and DVDs, and online courses. Pure Ministries exists to come alongside churches in all stages of ministry to people we call PURE. 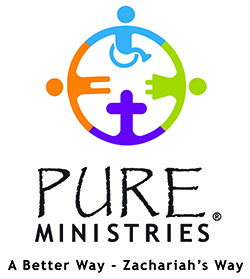 Whether you are actively ministering alongside families affected by disability, or just hoping and dreaming of a way you can welcome people of all abilities into your church, PURE seeks to provide resources, training and organizational aids at little to no cost to help churches make a plan to include people with special needs. The PURE Ministry Network, a group of churches willing to share information and strategies for all ages and stages of ministry, is free to join so that no one need feel helpless and alone when attempting to minister to someone with different abilities.